Giving up a steady paycheck and making decisions on what might be several million dollars can be stressful. Not a time for big mistakes. And it's not just about investing the portfolio. We work closely with clients and their other advisors (e.g., estate attorneys and accountants) to ensure a smooth transition from employment to what they envision as the next chapter in their lives. 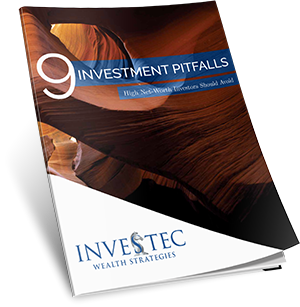 Greg and Norma came to us when a retired colleague of Greg's referred them to Investec. Greg and Norma had moved several times over the course of Greg's career, and were beginning to think about retirement. Greg wasn't sure whether he had enough between his 401(k) plan and his company pension to sustain the lifestyle they envisioned for retirement. One straight-forward question we addressed was "When can I afford to retire?" In Greg's case, we showed him the consequences of retiring a year later or three years later, and Greg and Norma decided Greg would work a few more years. We also helped Greg complete beneficiary forms for his company benefits so that if he and his wife died at the same time, benefits would be held in trust for both of his 20-something children, rather than being passed to them outright. Taking into consideration Greg's age, his other resources, his time horizon, and their charitable intentions, we also helped him determine the number of shares of company stock he should maintain in his 401(k) to use when he retires, when he can take advantage of the tax-efficient strategy of "Net Unrealized Appreciation." Greg's company has a very generous matching gifts program. We helped him use shares of company stock he had acquired over the years, in conjunction with the company program, to endow a fellowship in his family's name for engineering graduate students at his alma mater. For a slightly different take on the challenges corporate executives face in preparing for retirement, take three minutes to view our video about "Businessman Bob".